If you seek adventure outside and space to walk around inside then check out this Rockwood Roo. 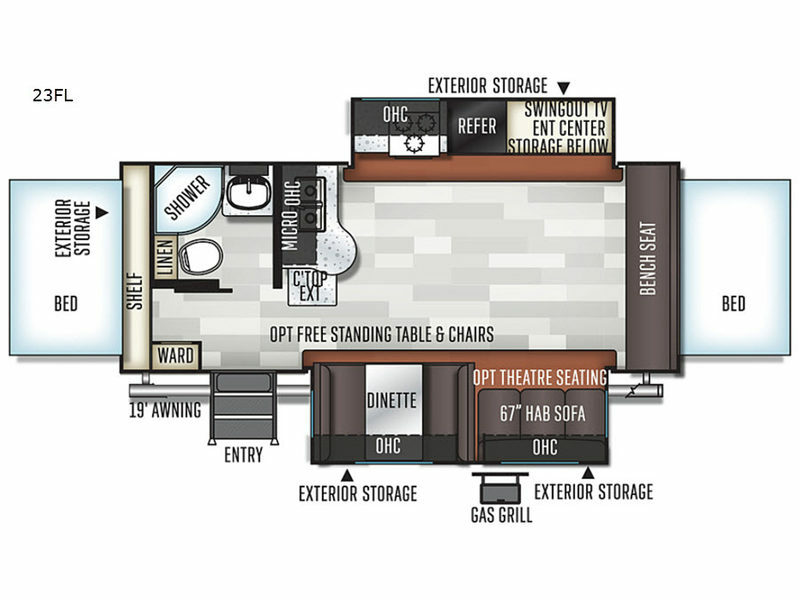 Imagine the floor space provided by the two slide outs in the main area allowing everyone to move about without squeezing in. 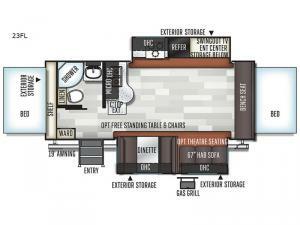 You can start imaging where everyone will sleep with two tent end beds, and all the furniture provided. There is even a bench seat that a little one may be able to use. You might even like to watch a movie on the 43" TV with entertainment center after making a meal in the full kitchen with a counter extension offering more prep and serving space. Everyone will appreciate the full bath with a radius glass shower door and linen storage, plus it is conveniently across from the entry door. You will also find optional furniture choices to customize this unit perfectly for your family.